Like to play in the snow? Come join us for fun. For more information, just click on the following links for the winter sport of your choice. Or click here to see the upcoming calendar of winter events and activities. Hold on to your helmets. 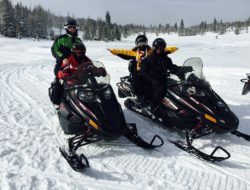 The trails are limitless and the area is geared up for the snowmobile enthusiast. Area trails are regularly groomed and ready for those who want to explore the scenic back country. Bring the family and the sled! The fish still bite in the winter. 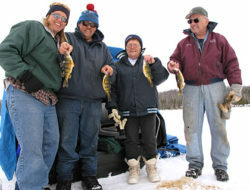 In fact, many local residents prefer to fish the winter months. Be safe and check with the Minnesota DNR for local ice conditions before venturing out. 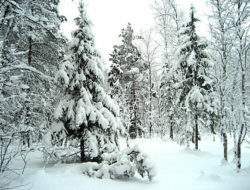 For those adventurous at heart, the Longville area offers miles of groomed skiing trails through our pristine forests. 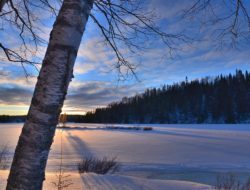 Scenery, wildlife, fresh air and quiet snow-covered woods await those interested in this winter time activity. Venture deep into the alder and aspen thickets on your snowshoes. No need to stay on the trail when you can make your own. You’ll hear the boom and crack of the frozen lakes and see animal tracks traced in the powder. 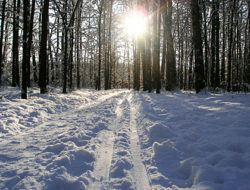 Try one of the designated trails or make your own tracks near your favorite lakeshore resort. 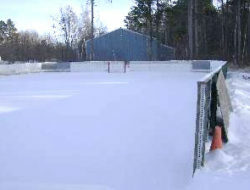 The Longville Ice Skating Rink is located at the Stuart Memorial City Park, just south of town on Hwy 84. There is no charge to skate. The rink is open to skaters and hockey players and is lighted to offer evening hours. There are also skates in many sizes available to borrow for free. 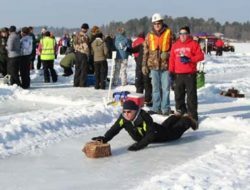 Longville celebrates winter the first Saturday in March. The festivities start early at the Docksider bar with a chili cook-off that will tantalize your taste buds and keep you warm till springtime. 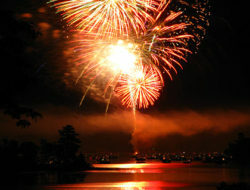 After that, make the short trip over to Girl Lake for a fireworks display that will leave you dazzled.